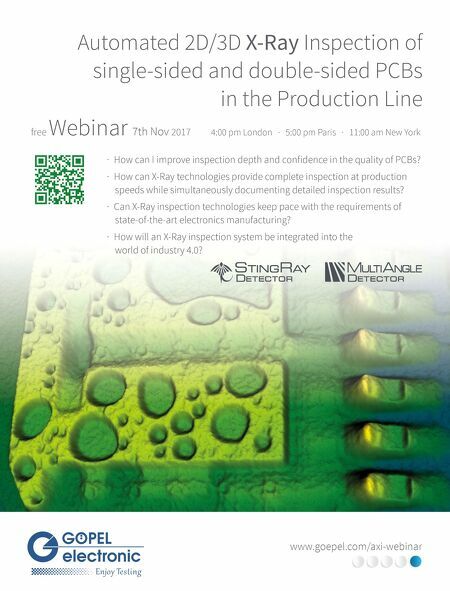 Automated 2D/3D X-Ray Inspection of single-sided and double-sided PCBs in the Production Line www.goepel.com/axi-webinar free Webinar 7th Nov 2017 4:00 pm London · 5:00 pm Paris · 11:00 am New York · How can I improve inspection depth and confi dence in the quality of PCBs? · How can X-Ray technologies provide complete inspection at production speeds while simultaneously documenting detailed inspection results? · Can X-Ray inspection technologies keep pace with the requirements of state-of-the-art electronics manufacturing? · How will an X-Ray inspection system be integrated into the world of industry 4.0? 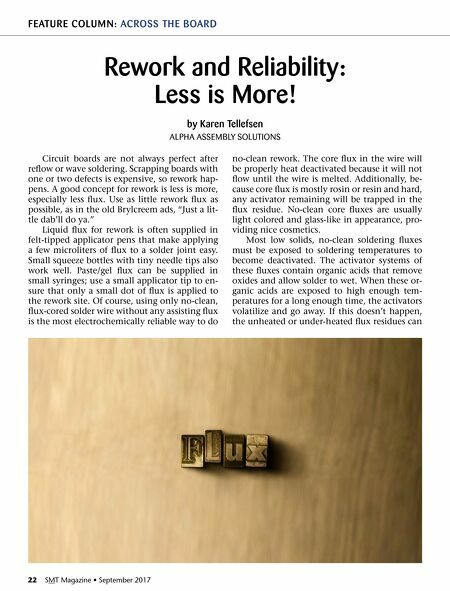 Feature Column — Rework and Reliability: Less is More! Feature Column — Drying Boards after Rework Cleaning—To Do or Not to Do?